Rose Baker is an orphaned young woman making her living typing up confessions at a Police Precinct in 1920s New York City. Disapproving, modest and proper, Rose is a model employee. Then one day, the captivating Odalie Lazare walks in and Rose’s life takes a drastic turn. She is soon living the high life in an upmarket hotel apartment, and spending night after night in illicit speakeasies with her new friend. But as Rose uncovers more about Odalie’s dark past, her position is compromised and she must decide how far her loyalty goes. Told from Rose’s perspective, the novel is immediately captivating. Rindell is able to create a character who is complex, laying clues for the reader along the way, as the story develops into an intriguing mystery. It is an excellent example of a first person narrative which feels complete, and allows the reader to get inside the character’s head. The novel has an atmosphere reminiscent of Daphne Du Maurier’s Rebecca, with the protagonist’s obsession with another woman ultimately leading her to dark discoveries. The plot is well-drawn, and keeps the reader guessing right up until the final pages. 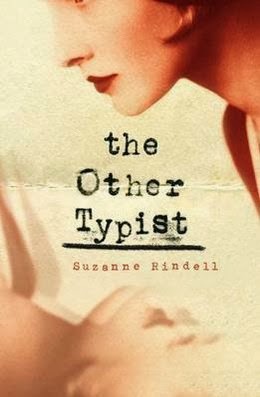 The Other Typist is one of those books which is nearly impossible to put down once begun.